MILEAGE CHARGED SEPARATELY IF OUT OF CITY OF RED DEER LIMITS. Puppy Pre-School is specially designed for the brand new puppy and brand new puppy raisers. First sets of puppy Vaccines are required at least 7 days prior to attending first preschool class. This is a 4 week program and each session is 30 minutes. Your puppy will reliably learn name recognition, and basic sit, down and stay. You will enrich your bond with your baby dog while teaching true positive reinforcement training techniques. Lesson 1: The "Name Game". When to use pup's name and when not to. Greeting Politely. Lesson 2: Potty Training and Targeting ("go" on cue). Lesson 3: "Leave it" and Biting Hurts! Lesson 4: Basic puppy grooming and puppy massage. This refresher program is for any dog and any handler who needs to re-capture basic cues and build from them. If you have a new adult dog in your family, such as a rescue dog, this would be the perfect program for you. Deepen your bond with your dog while your dog expands his intelligence. A confidence builder for both of you! Basic training for your Family Dog. In 5 weeks your pup will learn basics plus come, stay, impulse control and leash manners, all taught with verbal cues and hand signals. Not to mention tricks to impress! This 5 week program will add criteria to the Basics learned in Level 1. 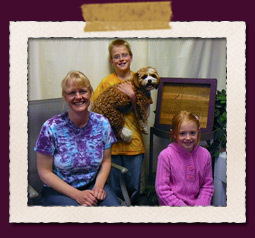 Such as stay with distractions, reliable recall, heel on leash and fun games to play with your dog. Your mature pup and basic trained dog will increase their intelligence by adding criteria to basic cues. You will learn on and off leash cues; your dog will learn to focus on you and wait for your next cue; we will play dog games that will enrichen your bond with each other; and you'll learn a cool trick or two that'll be sure to impress. For dogs tall and small, agility is about fun for all! Start fun foundation training with jumps, tunnels, gates, contact equipment and weaves. For more details on our agility classes feel free to contact Crystal Chaput at agility@waggles.ca. *this is for one dog attending 5 group classes. 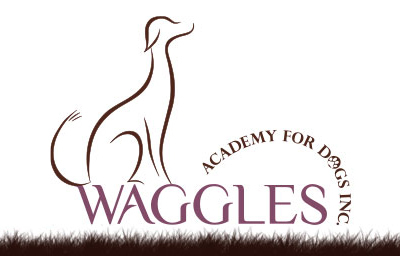 CONTACT US to register for any WAGGLES classes.